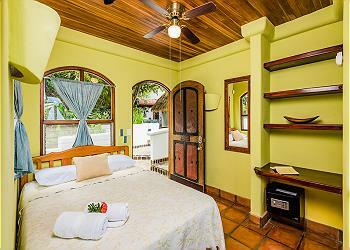 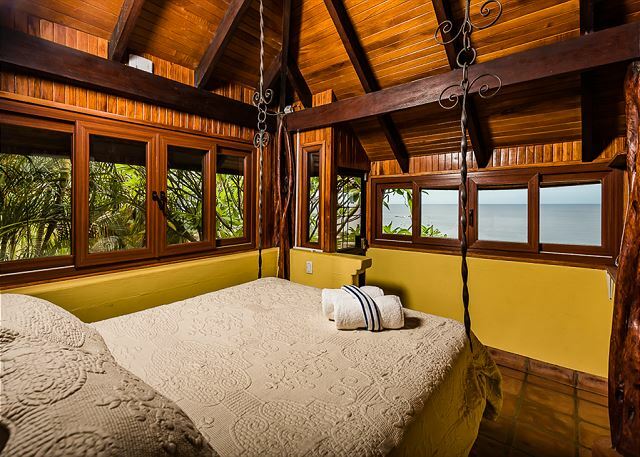 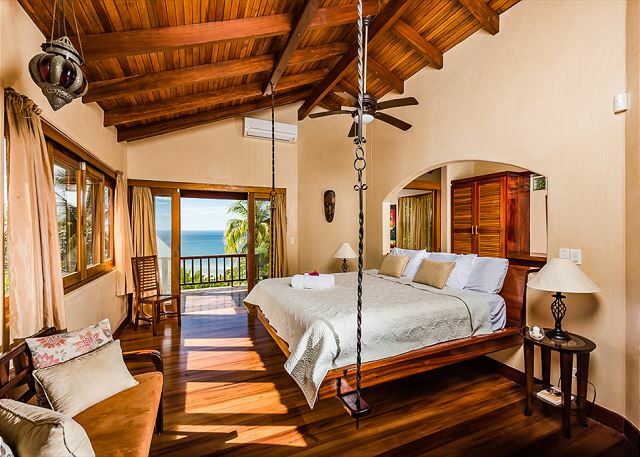 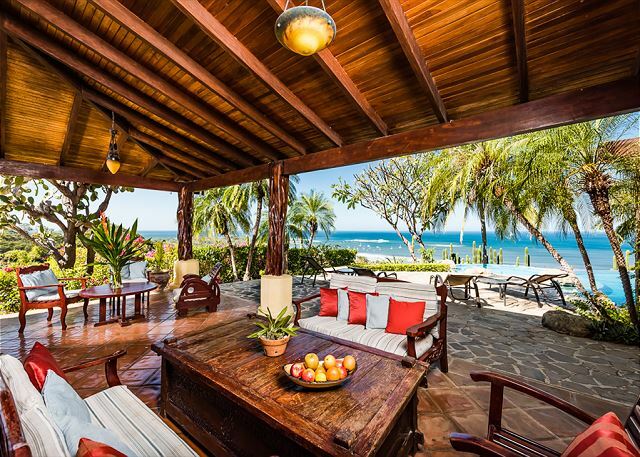 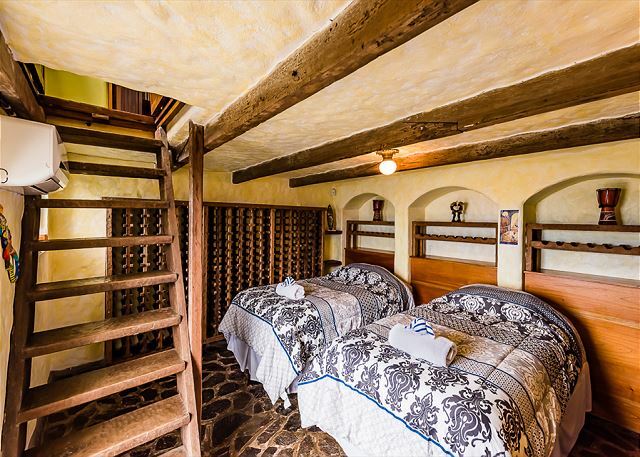 Casa Leo Loco is an amazing 6 bedroom vacation rental for 12 guests perched on the crest of the coastal slope that overlooks the town of Tamarindo and the Tamarindo Bay. The view from Leo Loco’s windows, terraces, and infinity pool will take your breath away with its dizzying sense of altitude. 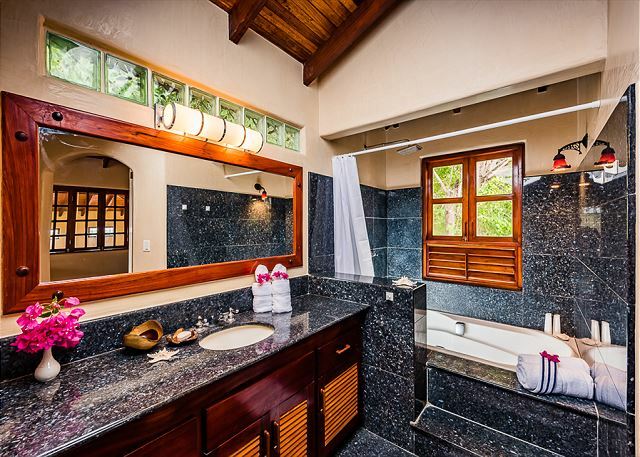 This beautiful home is built in the style of a classic tropical beach house, incorporating locally sourced wood, terracotta tiles, flagstone floors floors, and generously proportioned glass doors to to incorporate the exuberance of nature into the essence of the home. 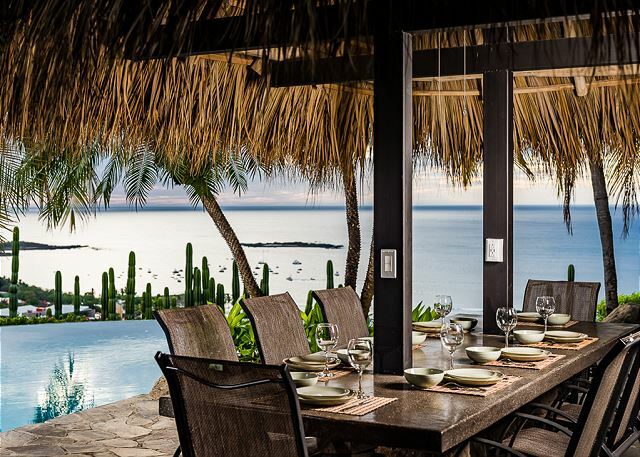 The home’s kitchen, dining area, and living spaces open through wide glass doors to the mountain breeze that flows constantly off the ocean at this height. 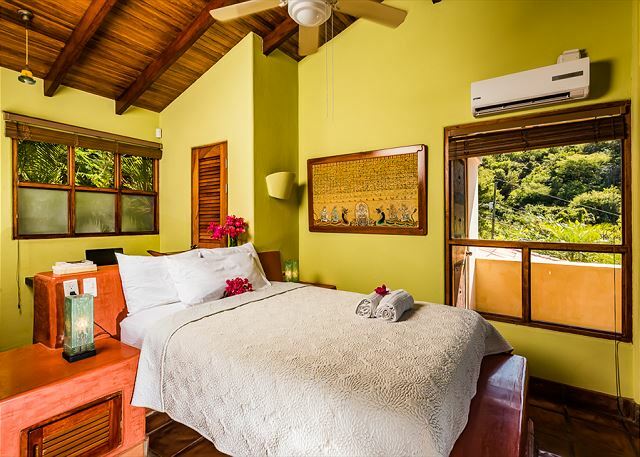 Air conditioning in the bedrooms provides comfort for closed spaces, but the deeply shaded terraces and purposefully ventilated common areas are maintained at a deliciously cool temperature by Mother Nature herself. The expansive kitchen in Casa Leo Loco is a gourmet chef’s dream. 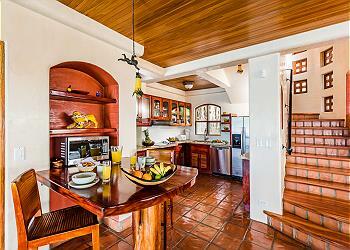 Enjoy preparing meals there yourself, or let our concierge recommend a private chef to do the work for you. 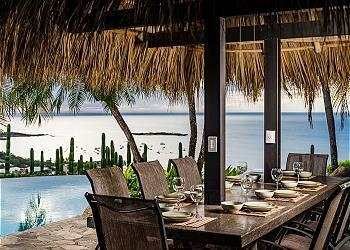 The outdoor dining area under a pool-side thatched roof give you the option of pool-side breakfasts and sunset dinners. 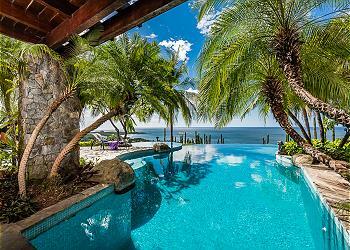 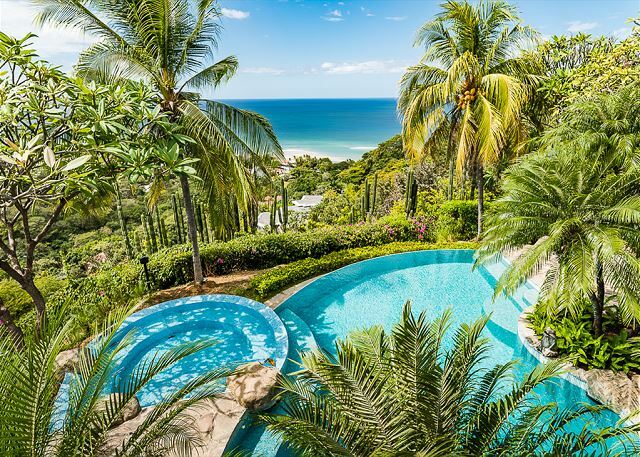 The unique multi-level infinity pool, set into a generous flagstone terrace, is the favorite feature in Casa Leo Loco’s lush gardens. 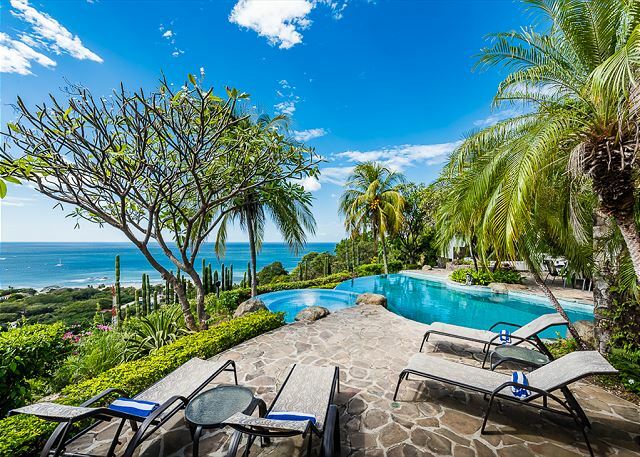 Indigenous trees attract the attention of Tamarindo’s howler monkey troupes, and hummingbirds and butterflies attend to the blooms on the bright tropical flowers. 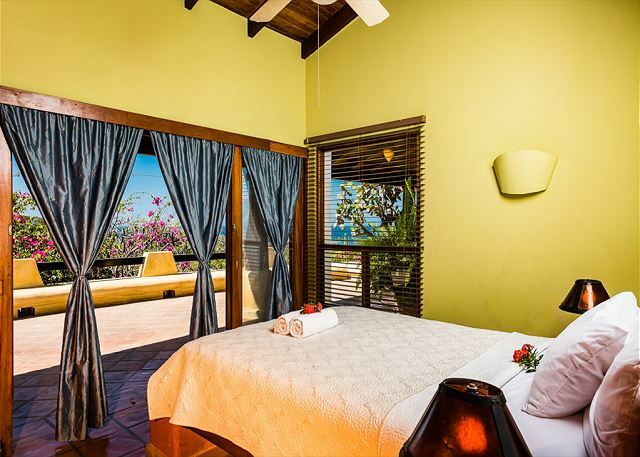 From the first light of dawn that breaks over the Pacific panorama through the stupendous sunsets and the stunning display of stars after nightfall, the views from Casa Leo Loco are something you will never forget. 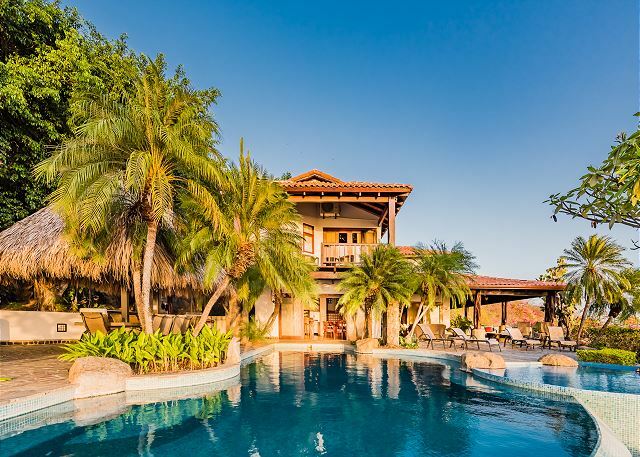 The fascinating town of Tamarindo, with its collection of international flavors and influences, lies spread along the coast in front of Casa Leo Loco. 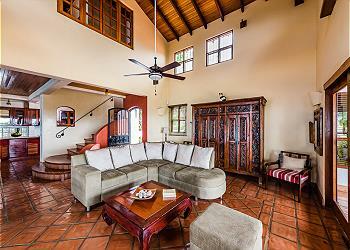 A quick drive down the hill places you in the heart of this diverse resort destination. 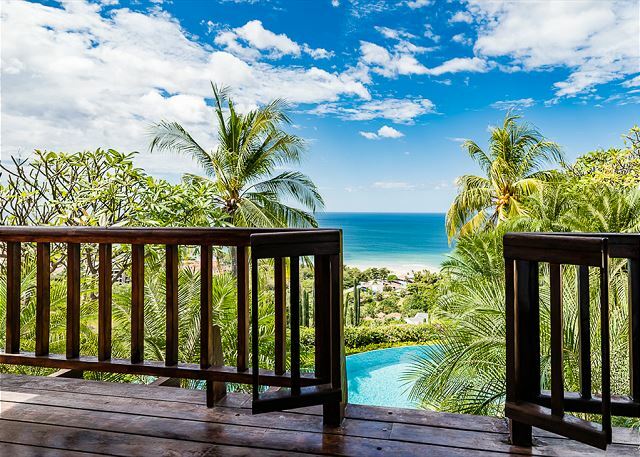 Explore the beaches, surf the breaks you can watch from the house, try out the restaurants, browse the shopping, and stop for a drink at a bar. Our tour and activity concierge can offer you an endless list of things to do in Tamarindo and the surrounding areas, and will help you get hooked up with the the best operators who offer the best services at the appropriate prices. 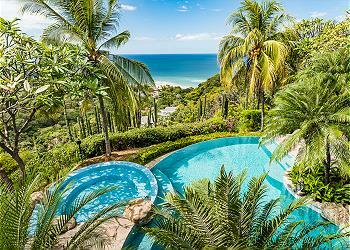 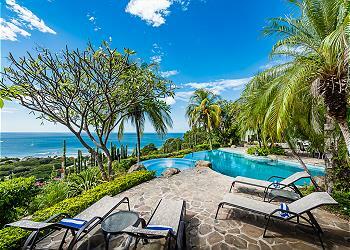 Your unforgettable Costa Rica vacation is about to start.